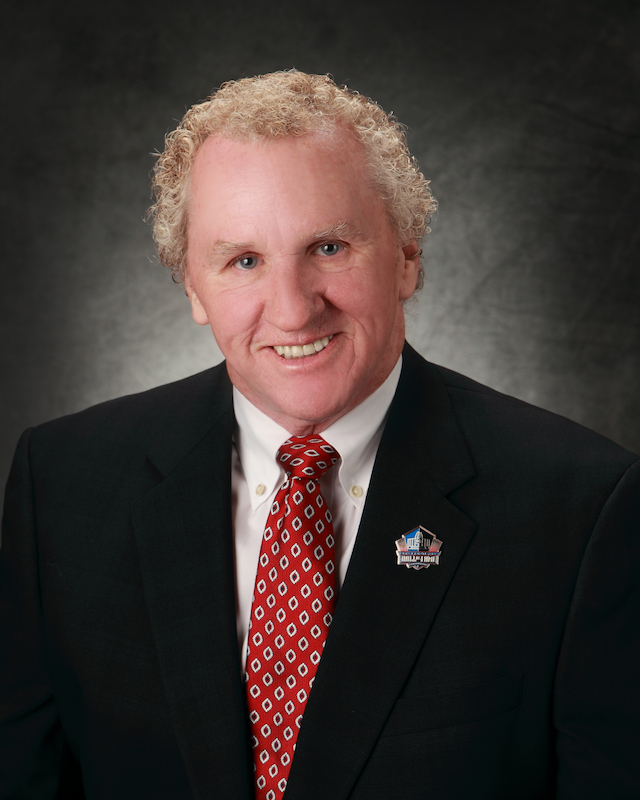 The Canton Regional Chamber of Commerce and Pro Football Hall of Fame have named two long-time community volunteers to leadership positions for the 2015 Pro Football Hall of Fame Enshrinement Festival. The world-renowned festival will celebrate the 52nd anniversary of the annual enshrinement of football players, coaches, and contributors into the Pro Football Hall of Fame, in the annual “One of a Kind Celebration!” George Lemon, a retired business leader and long-time community activist recognized for his ability to get things done and bring people together for positive change, will serve as general chairman of the Enshrinement Festival activities planned by the Enshrinement Festival department of the Canton Regional Chamber of Commerce. For the fifth consecutive year, Robert J. McFarlane, director of the outdoor division for Bruce Foods Corporation of New Iberia, LA, will serve as general chairman of the Enshrinement Festival activities planned by the Pro Football Hall of Fame. With the 2014 Enshrinement Festival just a few weeks behind them, strategic planning for the 2015 Enshrinement Festival is already well underway. The collaborative efforts of this leadership team, combined with the professional staffs at the Canton Regional Chamber and the Pro Football Hall of Fame, and the dedicated team of more than 4,200 extraordinary community volunteers, will ensure the success of this special celebration. The 2015 Enshrinement Festival dates will not be confirmed until after the NFL confirms the date for the NFL/Hall of Fame Game, so information will be posted on the web site as soon as available: www.ProFootballHOFEF.com. Lemon will lead the chairmen of 26 Canton Regional Chamber of Commerce committees, who hold in excess of 350 meetings throughout the year, to attend to the massive details of planning and staging several Enshrinement Festival events. He is well-known for his reputation for getting involved, getting things done, and bringing people together for positive change. His strong leadership skills led to a 23-year career in the U.S. Army and National Guard. As a Commissioned Armor Officer and Helicopter Pilot, he commanded numerous Army units including a Helicopter Group located at the Akron Canton Airport. He retired from Military service as a Senior Aviator and Intelligence Officer at the rank of Major. He was employed at AMETEK for 25 years, a Fortune 500 company, where he held a variety of positions, including Vice President of Marketing and Sales. He founded Technical Products Group, Inc., and led this very successful business as its president until his retirement in 2007. Lemon served on United Way’s Board of Directors, and in 2005, he received the United Way of Stark County’s prestigious “Gold Key Award” for outstanding community service. His active membership in the Canton Museum of Art was instrumental in bringing the first two nationally-known African artists, Bing Davis and Dean Mitchell, exhibits to Canton Museum of Art and Stark County Schools. As the Chairman of the Board of Directors at Goodwill Industries, he was instrumental in leading the initiative to bring the $5-plus million dollar community campus at Goodwill to Canton, Ohio. He is a past Chairman of the Board of Directors of the Canton Regional Chamber of Commerce. He is a member of the Aultman Health Foundation and Aultman Dunlap Hospital Board of Directors and is current President of the Aultman Foundation. He serves as the President of the Stark State College Foundation Board, and Stark State College honored him as “Alumnus of the Year” at their commencement ceremonies in 2003. 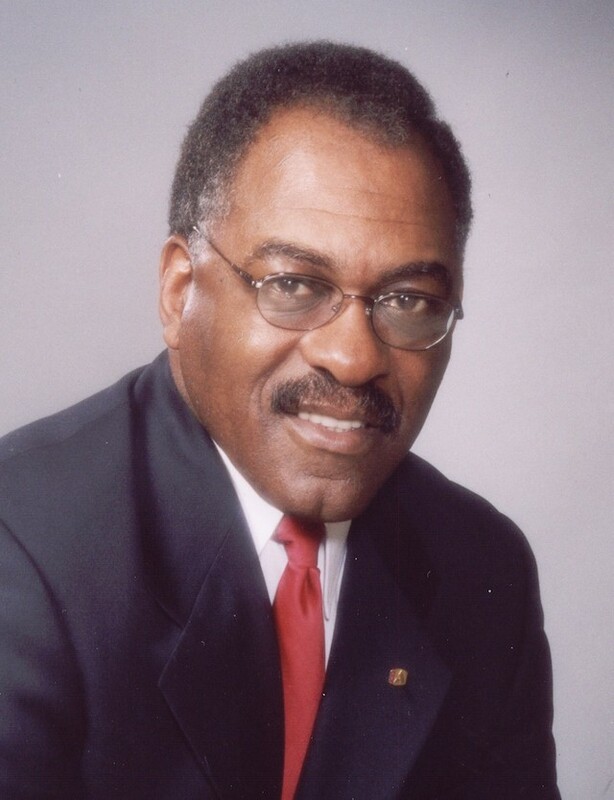 In May of 2010, he was presented with the Ohio Association of Community Colleges’ Distinguished Alumnus Award which highlighted his contributions toward the improvement of the community, professional achievement, volunteer service, participation in public service organizations, and involvement in civic functions. George and his wife Kaleen reside in Jackson Township, have four children and thirteen grandchildren. McFarlane will lead the chairmen of 11 Pro Football Hall of Fame committees in planning and implementing other Enshrinement Festival events, including the central focus of the entire festival, the Enshrinement Ceremony itself, as well as the NFL/Hall of Fame Game and the First Play event. McFarlane also will lead the support committees that assist the Pro Football Hall of Fame in providing hospitality to the Class of 2015 Enshrinees, the returning Hall of Famers and their families. He is a 25-year veteran of the Hall of Fame Hospitality Committee, having served as chairman for 11 years. In addition to his volunteer work with the Hall of Fame committee, McFarlane is past-chairman of the Enshrinement Festival Balloon Classic Invitational Committee, past-president of Wishes Can Happen, Inc., co-founder and past-president of Jackson Township Jaycees, JCI Senator and Ambassador, included in Outstanding Young Men of America, and retired football official after 26 years. He has been very involved in Jackson Township where he resides and has served as a volunteer fireman and was involved in the early formation of the Jackson Township Police Department. He is a graduate of Capital University with a Bachelor’s degree in management. He and wife Sharon are proud of daughter Kelly and son-in-law Scott.